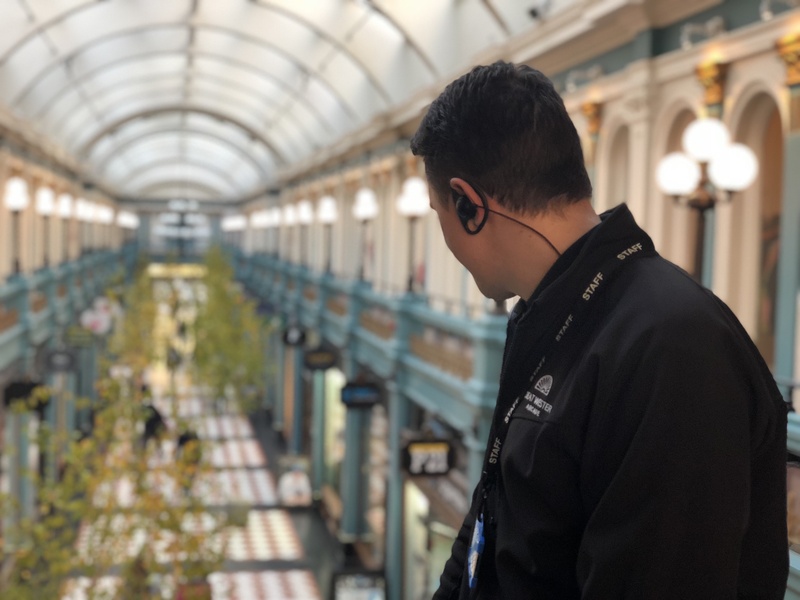 Last Thursday I arrived at the heart of Birmingham's retail and financial district and made my way to see our site Supervisor, Tom, on duty at Great Western Arcade. As far as 'Instagramable' retail space goes, it gets a 10 from me. It's unique in it's history, it's management and it's variety of independents and eateries. "Elegant and overflowing with Victorian charm" - their website boasts, and it's spot on. The Grade II listed Arcade was built by the Great Western Company in 1876-1877 to span a tunnel for the railway line between Moor St and Snow Hill stations. Inevitably, among the 1,852 tons of bombs that were dropped on Birmingham during WW2, this area sustained enough damage to destroy the Colmore row entrance and the entire roof. 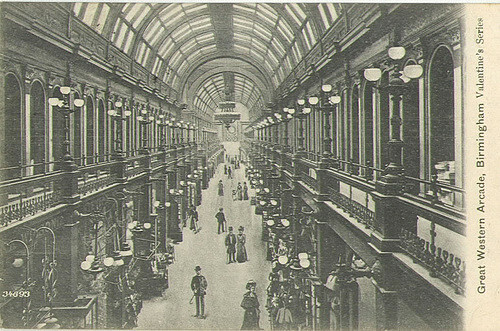 After the war, the entrance and roof were replaced and in recognition of the efforts to restore the building, Birmingham Civic Society awarded the Arcade a prize and in 1988 the Arcade was voted Birmingham's favourite building. 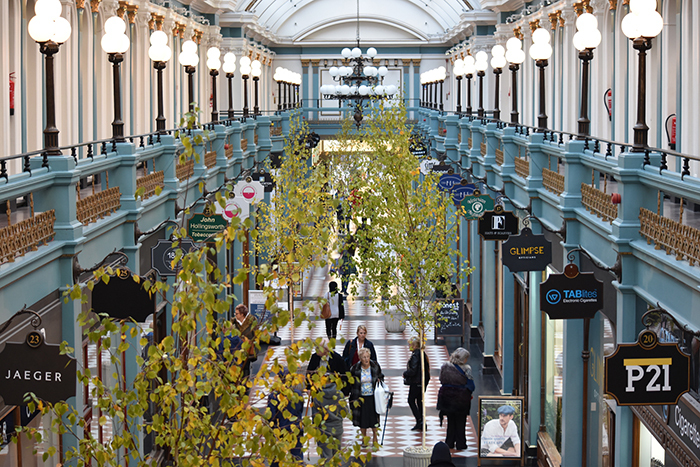 To this day, Great Western Arcade is openly acknowledged as Birmingham's pioneer in the push for supporting independent retail. And on Thursday I got to experience the Arcade for myself in all its grandeur! I was greeted by site Supervisor Tom, and Centre Manager James. As we walked through the Arcade, James explained the Arcade's history, what initiatives and changes there has been under his management, the importance of the security team and how they are great brand ambassadors. James also talked about his approach to managing such a Centre that boasts an annual footfall of 4,000,000 and how he relaxes his work attire to compliment the vibrantly filled Arcade of independent boutiques. 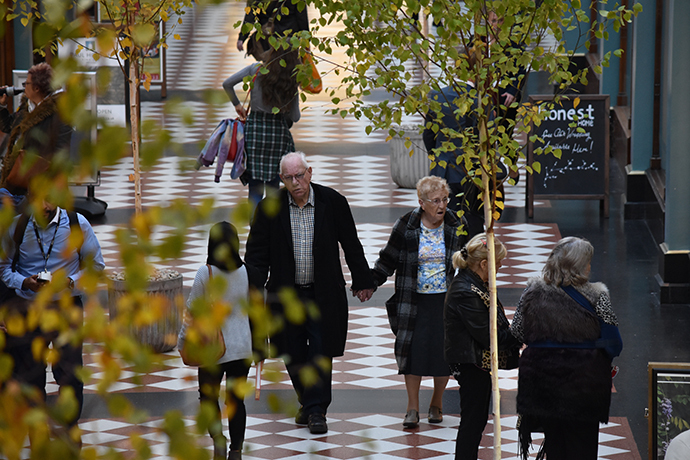 Essentially his view is that Great Western Arcade is a must-see shopping destination that offers exciting independents, that's steeped in history and appeals to customers who visit more and stay for longer. His vision has been to create a compelling shopping experience that surprises and delights their millions of annual customers. James and I talked from one end of the thoroughfare to the other. At this point, I said fair well to James and continued my visit with Tom. Tom gave me a background of his history and what changes he has brought about over the last nine months in his supervisory role. He recognised that there was a need for a complete re-shuffle of staff upon his arrival at the Arcade and quickly got to work with James' instructions to basically 'fix it'. Due to the nature of our industry and the fluency of re-tendering, very often the incoming company inherits teams that have TUPE'd over who are not a good fit for the centre but have continued to remain there. This can be turned around with a realistic approach by all but sometimes it doesn't work out, despite best efforts being made and the new contractor has to make decisions based on performance. So, with a new team under his belt he got to work addressing operational issues on site. Tom identified that certain methods of work were counter productive and implemented his own best practices. He identified a lack of efficiency with the cleaning set up that we provide in an 8 floor office building attached to the Arcade, and so Sandra now has a more supportive team, who are able to assist with opening the building, Sandra's now SIA licensed so that she can carry out security work too. The team came away from official looking shirts and ties and leant towards block colour polo shirts and soft shell branded jackets. We find a lot of the centre's we occupy are opting for a less formal look for their security and cleaning teams, and the reason being? well, it's because they're brand ambassadors for the centre they work at. How many times have you asked a cleaner or security guard for directions? or where the loo's are? Our people are the first point of contact with a centre's customers and the more approachable they look, the more comfortable visitors will be in asking for help. 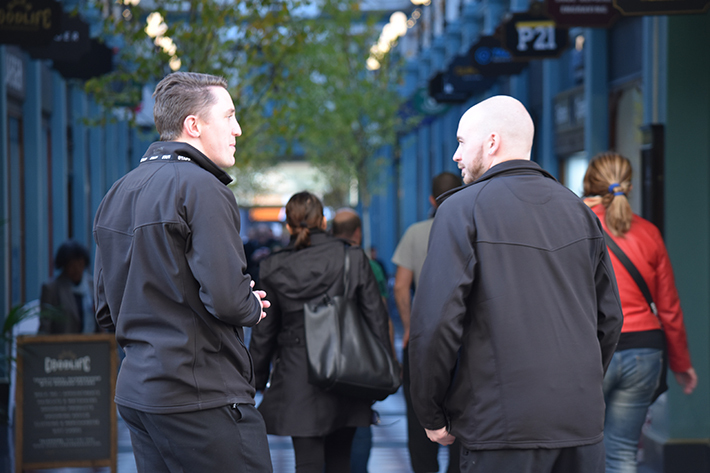 Tom has experience working with West Midlands Police, Hospitals, Colleges and at Birmingham's futuristic shopping Centre, The Bullring. With the experience and expertise he's collected along the way, he was able to detect and stop £20k worth of fraudulent transactions taking place at the Arcade. He says that prior information about the gang and doing subsequent welfare checks within the shops was absolute key to stopping the fraudsters. Each store has the telephone number for the security phone and can call at any time, in addition, the patrols are adjusted if there is cause for concern over safety or theft. The team also have the email addresses for each store and regularly circulate trending criminal activity for them to be aware of. I really got the feeling that Great Western Arcade was a community, people are passionate about their businesses and the wider issues surrounding the Arcade's location. 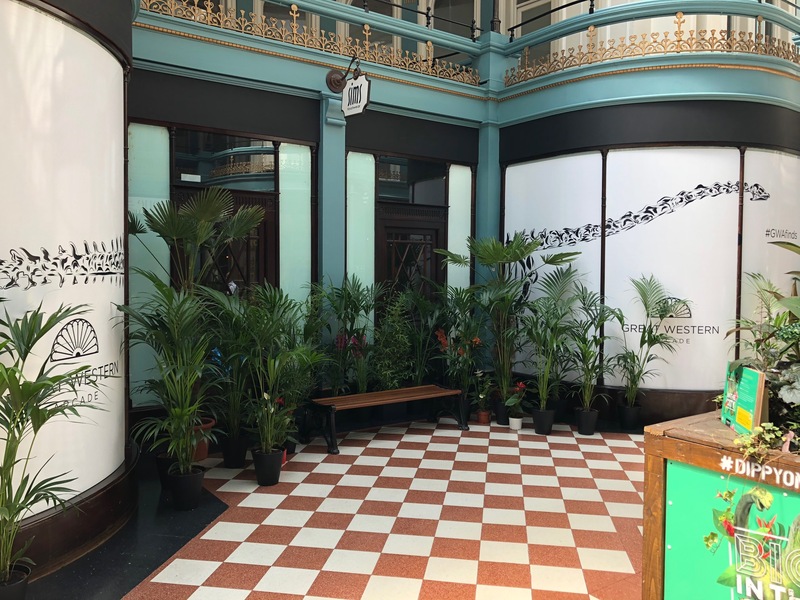 Tom told me that over the summer months the Arcade management brought in a number of Kentia Palm trees and dotted about the thoroughfare to accentuate the summer vibe. Once the heatwave was over and Autumn began, the trees were surplus to requirement. Tom asked if they could sell the trees to the tenants/ family/ friends and raise some money for charity, the centre Manager said yes and so the plants were sold and all the money raised went to Sifa Fireside, a local homeless drop in centre. Tom knows of this centre due to a previous employment where part of his role was to move homeless people on, and time and time again he would carry out his duty and advise them to go to Sifa. He thought that this would be a nice gesture seeing as this is where he sent so many of Birmingham's homeless people. At some point in the future Tom also talked about a charity 'sleep in' to raise money for this great cause and when we have more details about this we will let our followers know - (I kindly offered a member of our HQ team to take part) Watch. This. Space. 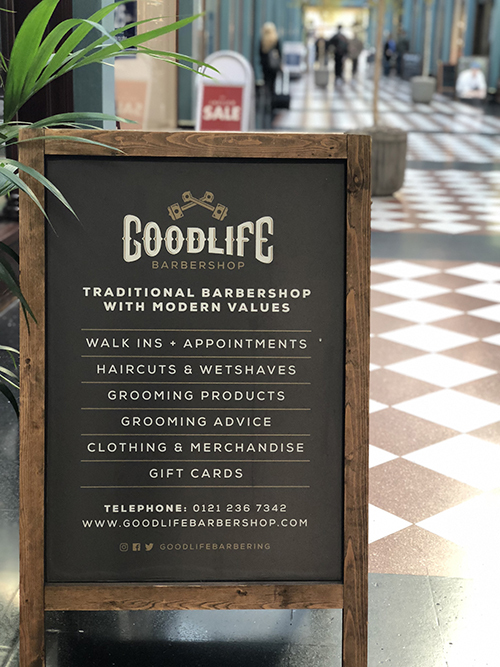 If you're in Birmingham and fancy a truly wonderful visit to some award winning independents, pop in and say hi to Tom and the team. To plan a visit or to see a list of stores, visit their website here. Thanks to James, Tom and Jamie for sharing their story - and good luck on your next chapter James!